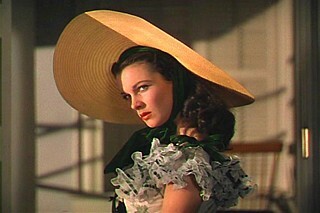 Vivien Leigh as Scarlett O'Hara, possibly the most beautiful woman to walk the planet. When you're a mother you spend so much time preparing. Thinking ahead and planning for all the 'what-ifs'. Contingency plans. Organisation. Trying to smooth the path so the family can travel bump-free. It's all-consuming. So today and the weekend will be about fun. We'll make time for all of us to enjoy ourselves and relax, individually and as a family. Laugh our heads off and put the 'should dos' and 'need tos' on the shelf. The boring, the tough and the tedious can wait for a few days. This morning, I'm taking the girls to my aunt's house to splash in the pool and play with their cousins. On Saturday, Skip and I are taking a very fun trip to the mountains, which I'll fill you in about next week. On Sunday, we'll spend time together, just eating good food, hanging out and going wherever the mood takes us.